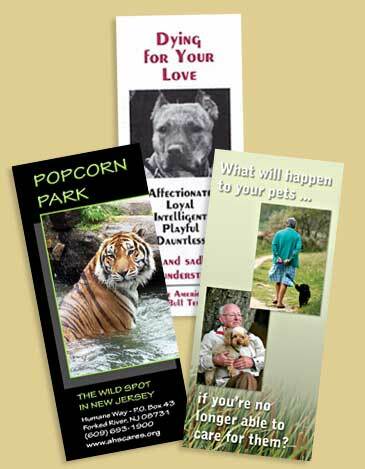 Brochures are an excellent way to provide information about your organization, be it your mission, services, purpose, etc. While the web is great, many people still appreciate having something in their hands to turn back to. A brochure or similar handout leaves a lasting impression -- make it a good one! You'll want a terrific brochure designed in any color or paper combination, and ... it can be made into a pdf that can conveniently be e-mailed to others. Contact me with inquiries. 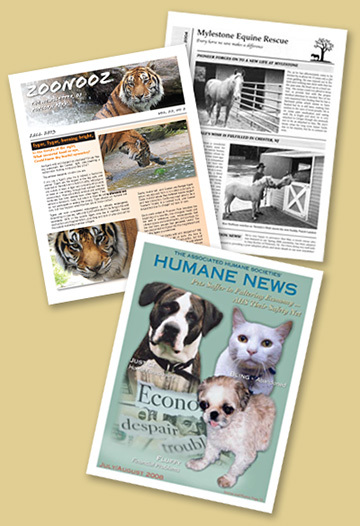 Newsletters are an important way to keep in touch - whether it be clients, members or donors. A newsletter keeps them updated as to the goings-on of your organization and keeps you connected to them - it greets them at the mailbox or at their inbox in pdf format - whichever you choose ... or both. Newsletters can be as stylish and sophisticated or as bright and fun as you choose just so long as your audience relates. Can I help you with a newsletter? Contact me.